Many families in El Salvador lack the necessary support to better their situation and ensure that their children will be able to escape the cycle of poverty as they become adults. The safety, health and education of children must be ensured to achieve long-term improvement and a peaceful society. Sonsonate, capital of the department of the same name, has a population of over 71,000 and is located in western El Salvador. The city is a lively commercial centre due to the surrounding coffee plantations. Although the proportion of people employed in the formal sector has increased in recent years, from 53 per cent in 1994 to 68 per cent in 2004, this still leaves a great number of families who are struggling to make a living by means of informal employment, e.g. selling merchandise or homemade food on the streets. The income they are able to generate this way is up to a third less than in a formal, salaried job. This means longer working hours and less security, and it can have very detrimental effects on family stability and the well-being of children. In many cases, children are expected to work in order to help the family survive. In rural areas, children have traditionally helped with agricultural tasks, and they continue to do so on the coffee plantations. In today’s world, however, other industry sectors are overtaking agriculture as a reliable source of income. In many cases, a good education is therefore more important for today’s children than acquiring practical skills and following in their parents’ footsteps. Child labour interferes with a child’s education, in addition to threatening their healthy physical and psychological development, and jeopardising their chances for success as adults. Illiteracy, at almost 20 per cent, is higher than the national average in the Sonsonate Department, and it is consistently higher for women than it is for men. Only around half of the children in Sonsonate have the opportunity to attend nursery school or kindergarten. This means that many working parents have to organise their own childcare, which can be difficult. SOS Children’s Villages supports these parents so that children can have a healthy, safe and happy childhood. 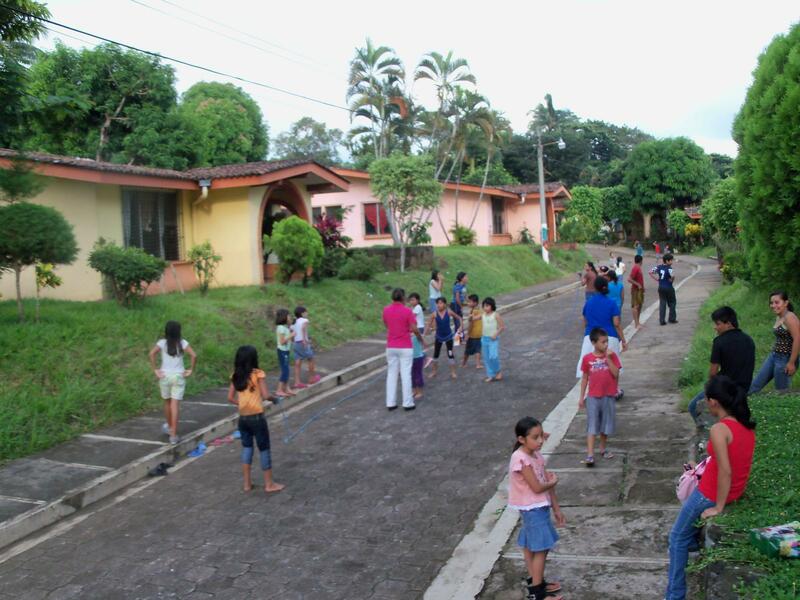 SOS Children’s Villages began its work in El Salvador in 1972 in Sonsonate. Today, our social centres here offer a family strengthening programme, which aims to alleviate hardship in the community in a holistic and sustainable manner. Our services include day-care and a childminding programme, which allow working parents or single mothers to leave their children in safe hands while they are out making a living. The social centres also offer workshops in dressmaking, handicrafts and typing to members of the local community, allowing them to acquire new skills and self-confidence, and improving their income. For children in Sonsonate who are no longer able to live with their parents, 14 SOS families can provide a loving home for up to 144 children. In each family, they live with their brothers and sisters and are affectionately cared for by their SOS mother. The children attend local schools and are therefore very much integrated into the local community. Children who have had traumatic experiences prior to coming to live with us receive support, both from staff in the village and psychologists. 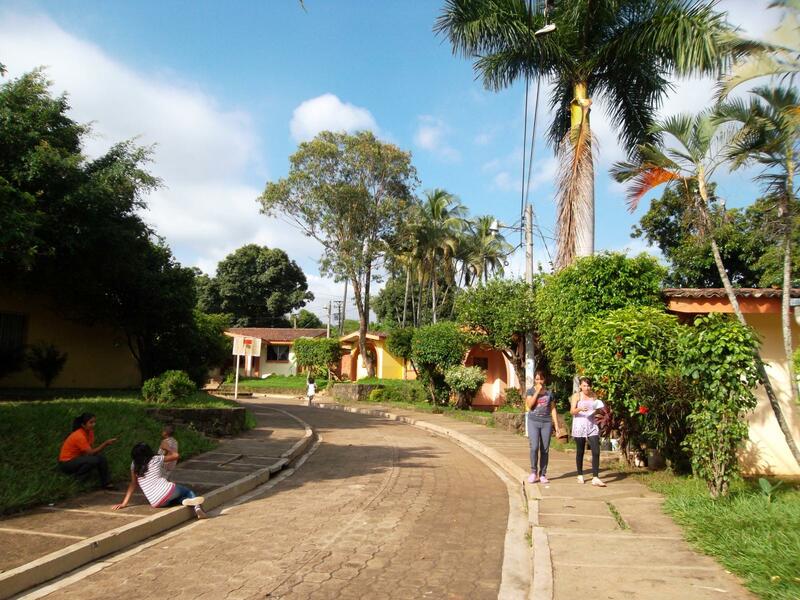 When young people from the children’s village are ready to leave their family in order to pursue further education or vocational training, the SOS Youth Programme provides shared accommodation. With the support of qualified counsellors, the young people learn to take responsibility, plan their future and prepare for independent adult life.